Situated in Wellington, the University of Victoria (VUW) was founded in 1897 with less than 100 students and is now home to around 20,000 students and 1,500 staff. 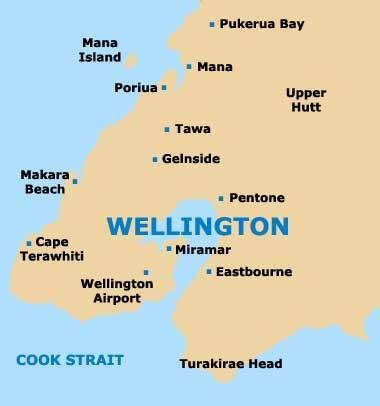 The vast university complex features four main campuses, all in nearby areas of Wellington, on the southernmost tip of New Zealand's North Island. 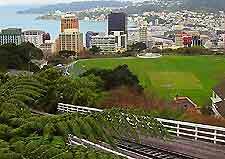 Wellington's University of Victoria (VUW) is one of the largest and most important universities in New Zealand and in 2001, the university merged with the Wellington College of Education (WCE), when the Victoria University Faculty of Education was created. Within easy reach of scenic beaches, parks, gardens, nature reserves, scrublands and popular walking / tramping trails, in and around Wellington, the New Zealand University of Victoria (VUW) offers students a range of recreational activities. 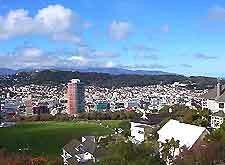 The University of Victoria (VUW) in Wellington has always been one of New Zealand's premier universities and the expanding university campus contains many impressive excellent research facilities, theatres, lecture halls, art galleries, student halls of residence, dining areas, extensive university libraries and stunning landscaped gardens. Close to Wellington city centre, the University of Victoria (VUW) regularly hosts an array of lively exciting festivals and events throughout the Wellington calendar. Other popular societies at activities at Wellington's Victoria University (VUW) include debating, Karate, a Christian Union, dance, drama, photography and the University of Victoria (VUW) International Taekwon Do Society.